In many countries, adults who were Scouts or Guides in their youth, continue this interest by being members of Fellowships or Guilds, even if they are no longer active leaders. They enjoy social and cultural activities and give service to their communities and their local Scout and Guide organisations, keeping alive the principles of our founder, Robert Baden Powell who said: "Scouting and Guiding is not only a game for children; it is a way of life for adults". The Irish Girl Guides have Trefoil Guilds, Scouting Ireland has Fellowship Patrols and Catholic Guides of Ireland have Le Cheile. 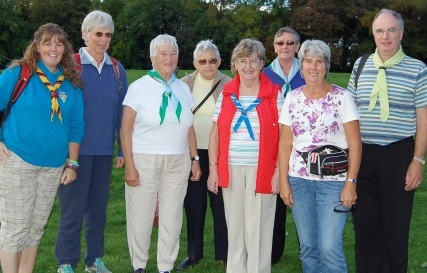 The Fellowship of Irish Guides and Scouts (FIGS) is the umbrella organisation for these groups. There is also an international dimension to Fellowships (ISGF) International Scout and Guide Fellowship, which has over 60 affiliated member countries and individual members from many more. Please navigate our website using the menu above and let us know if you have any questions. Enjoy your visit!